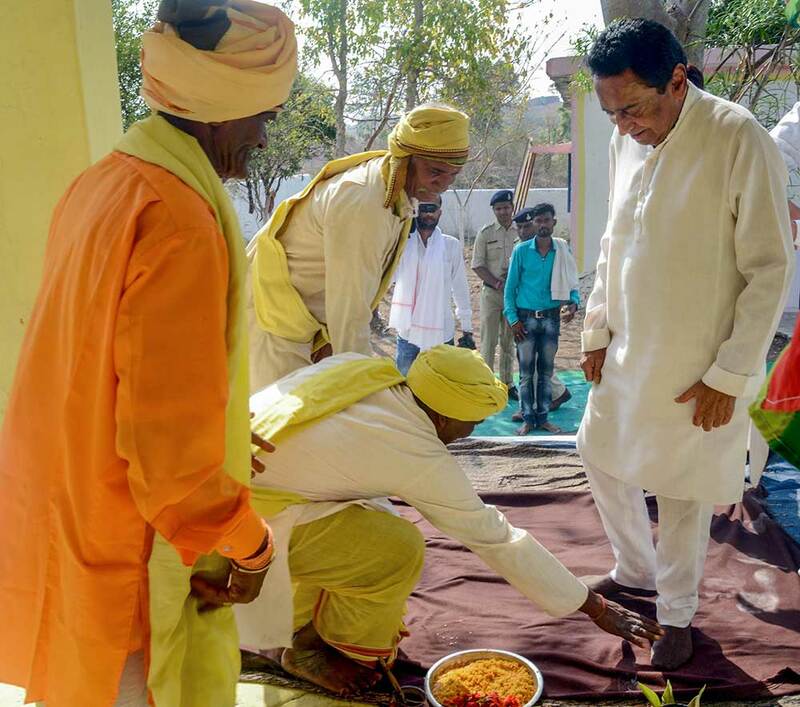 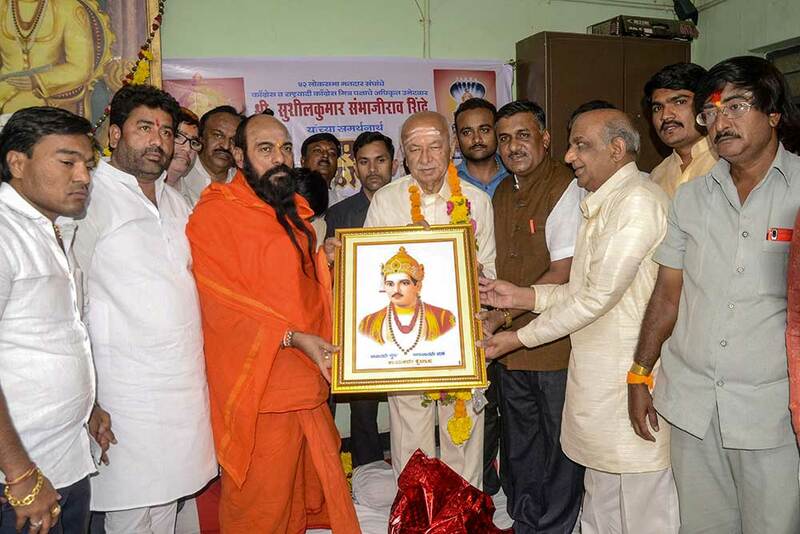 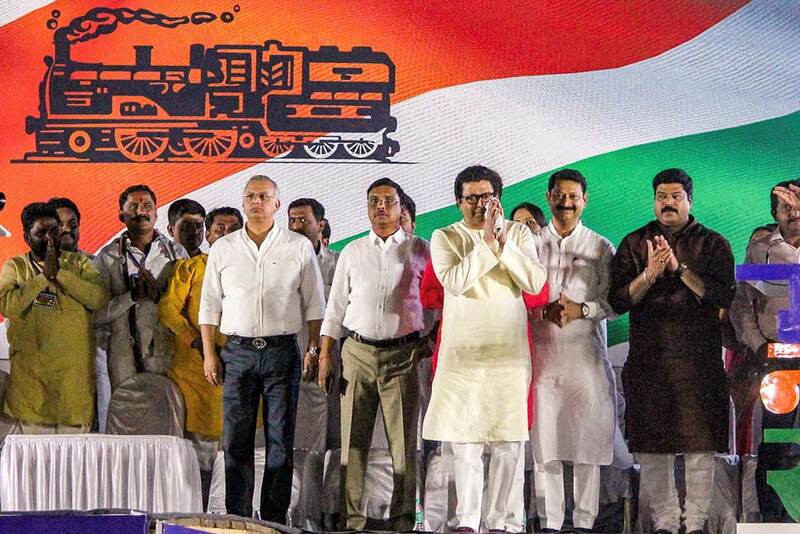 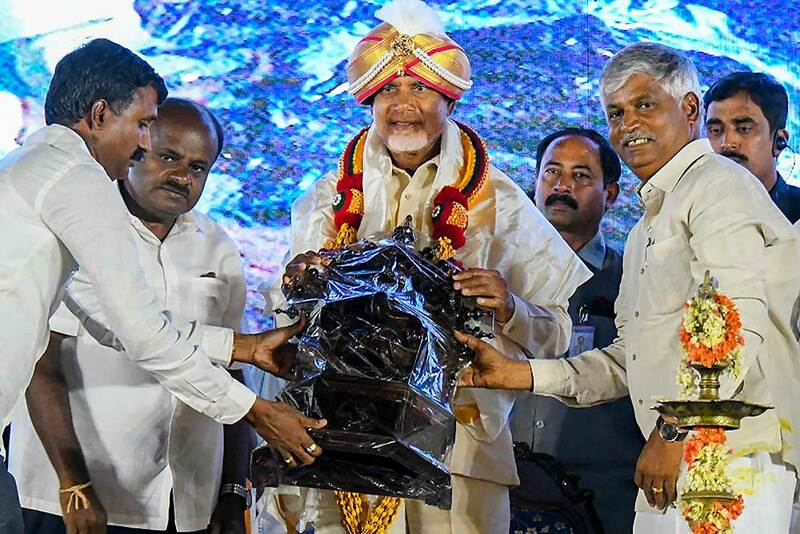 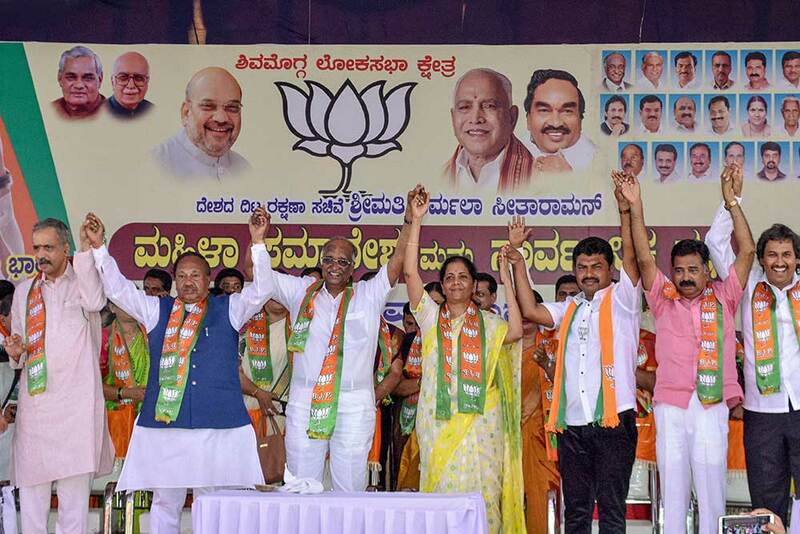 Veerashaiva Lingayat community leaders felicitate Congress candidate Sushilkumar Shinde at an election campaign meeting for the 2019 Lok Sabha polls, in Solapur, Maharashtra. 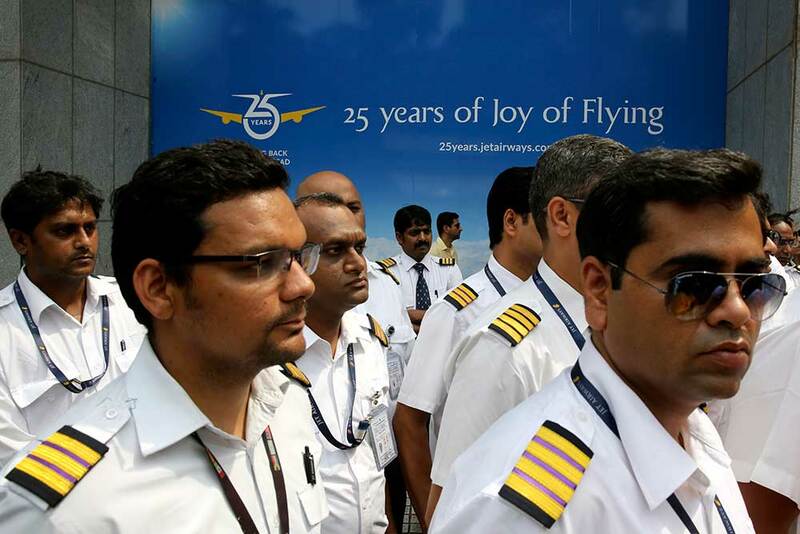 Employees of Jet Airways gather to demand clarification on unpaid salaries at Jet Airways headquarters in Mumbai. 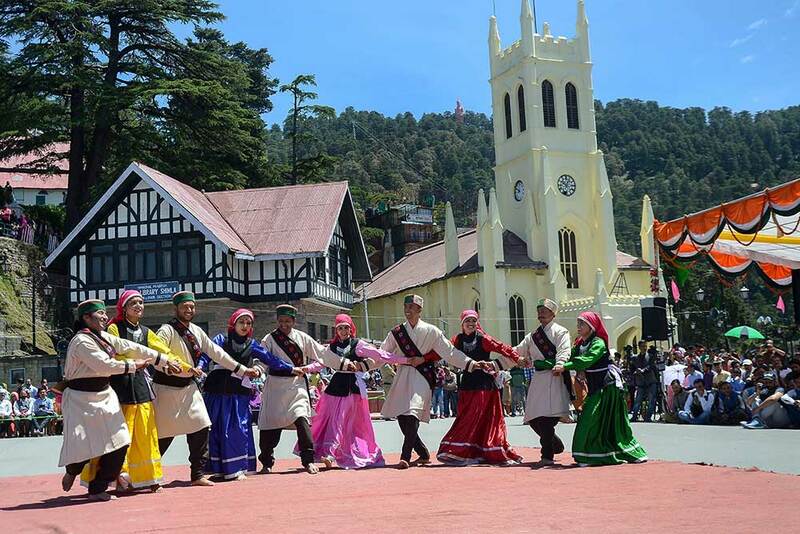 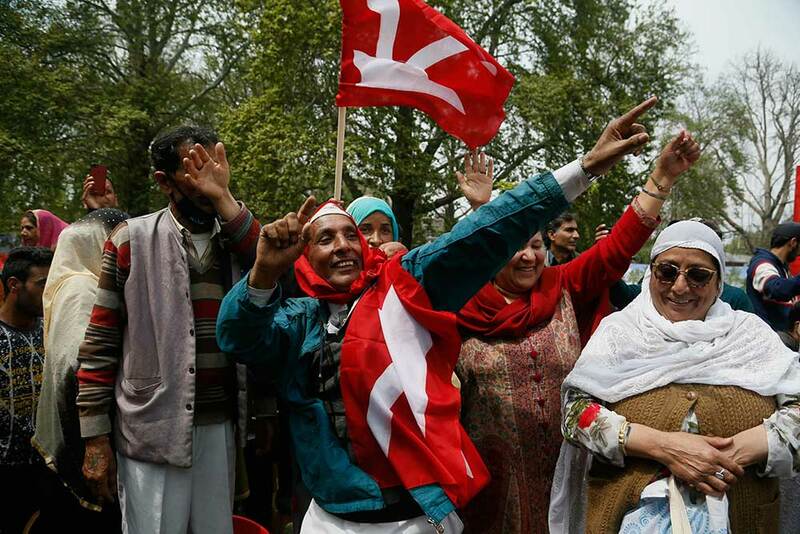 Kashmiri supporters of National Conference dance during an election rally in Srinagar, Kashmir. 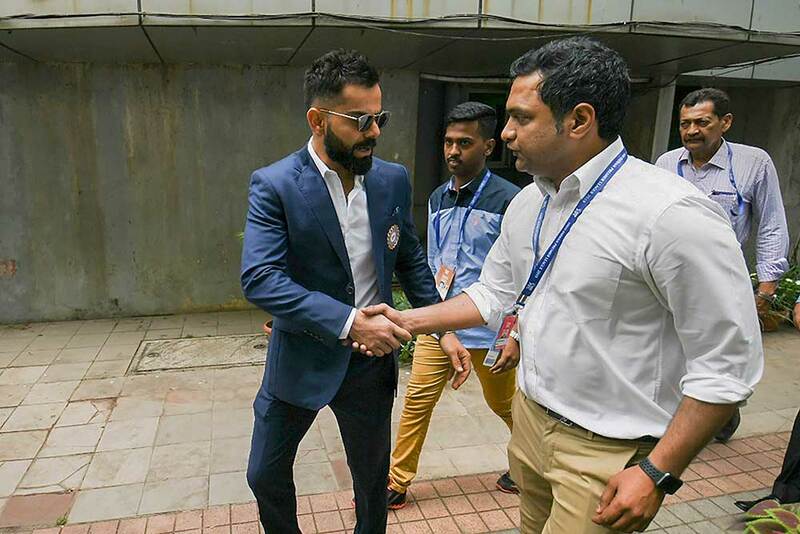 Indian cricket captain Virat Kohli leaves Board of Control for Cricket (BCCI) office after a meeting with the selection committee, in Mumbai. 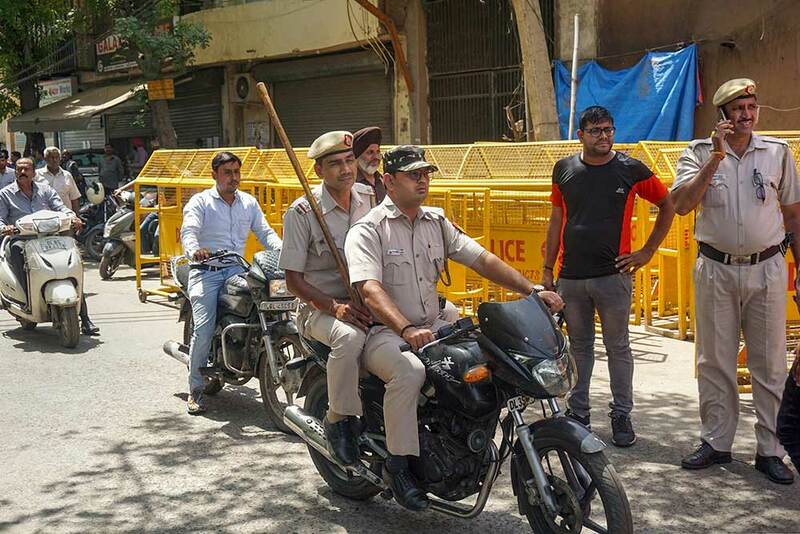 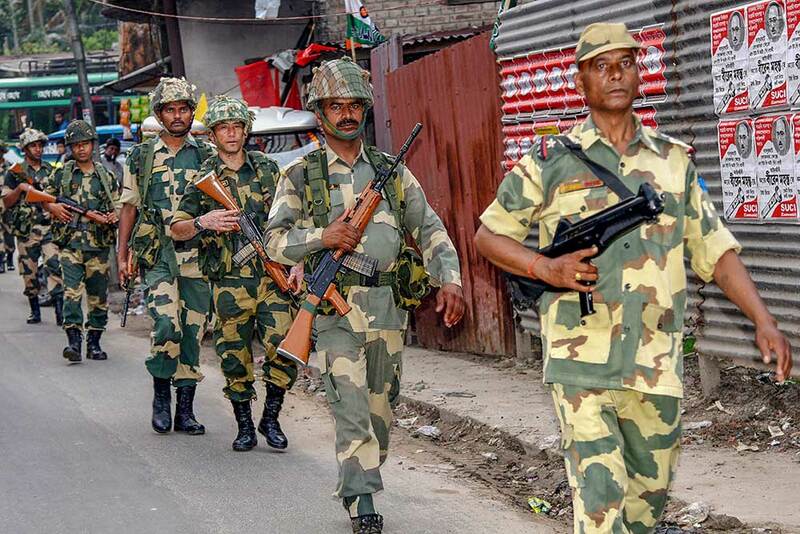 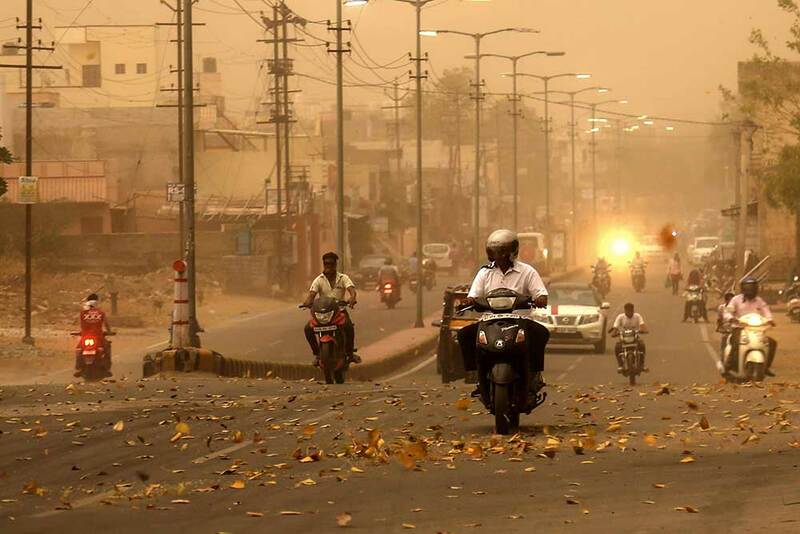 Police personnel patrol in the Mayapuri scrap market in New Delhi, Owners of scrapping units were busy getting their goods ready for transport after a public notice gave the traders 48 hours to comply with the sealing directives issued by the Delhi Pollution Control Committee (DPCC). 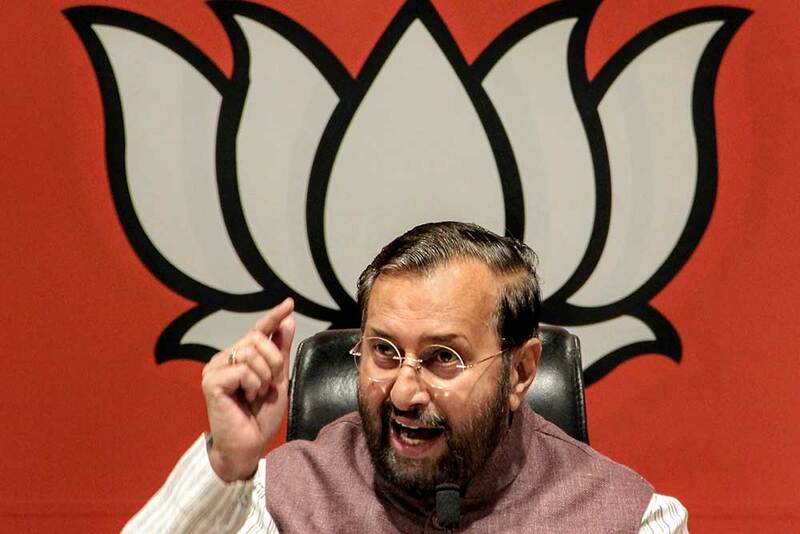 Union minister Prakash Javadekar addresses a press conference at BJP headquarter, in New Delhi. 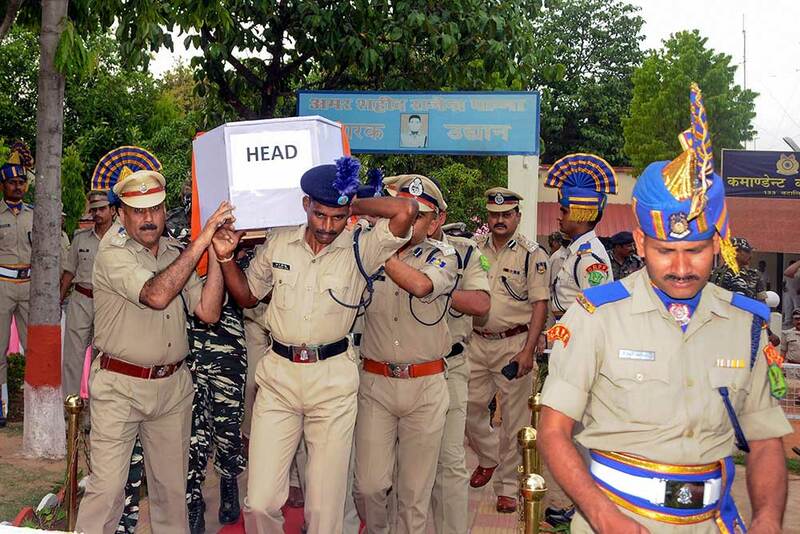 Jailed gangster Anil Sharma arrives to attend his father's funeral, in Ranchi. 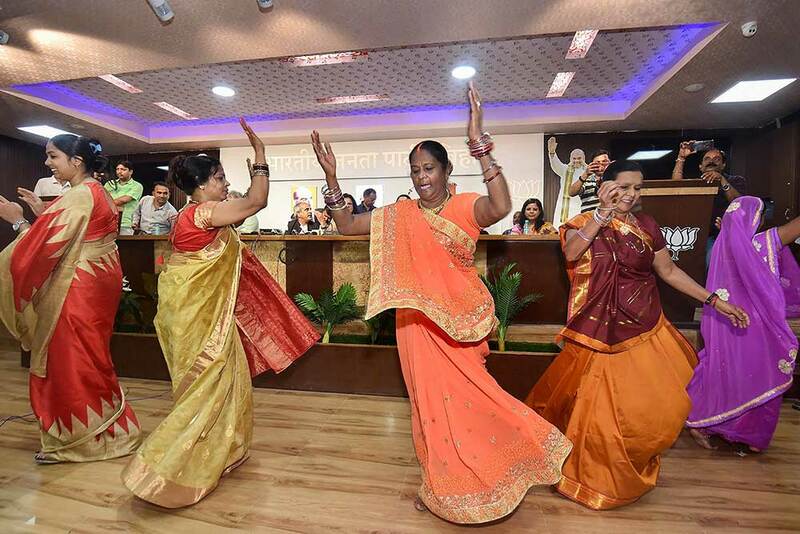 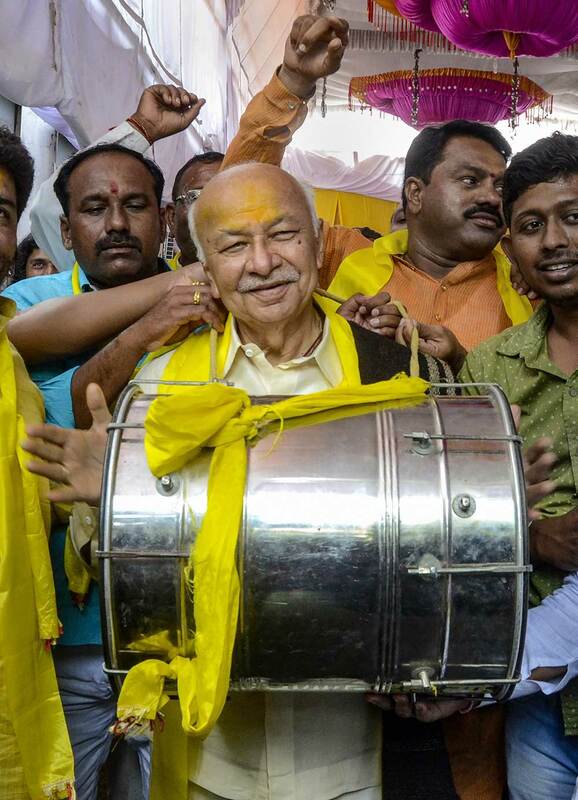 Congress candidate Sushil Kumar Shinde beats a 'dhol' at an election campaign rally for the 2019 Lok Sabha elections, in Solapur, Maharashtra. 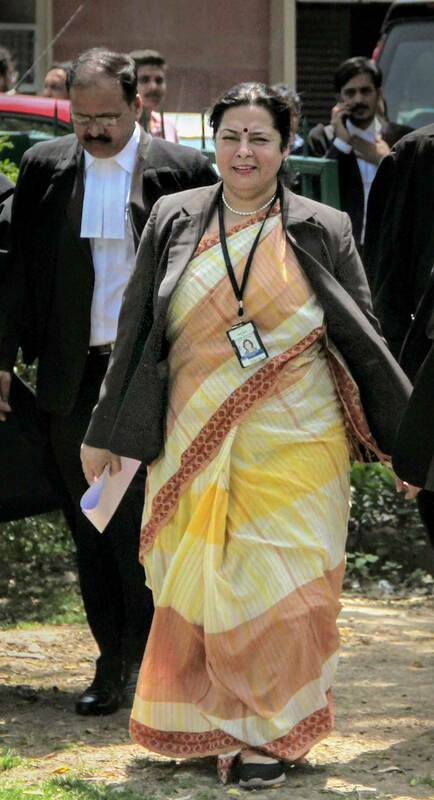 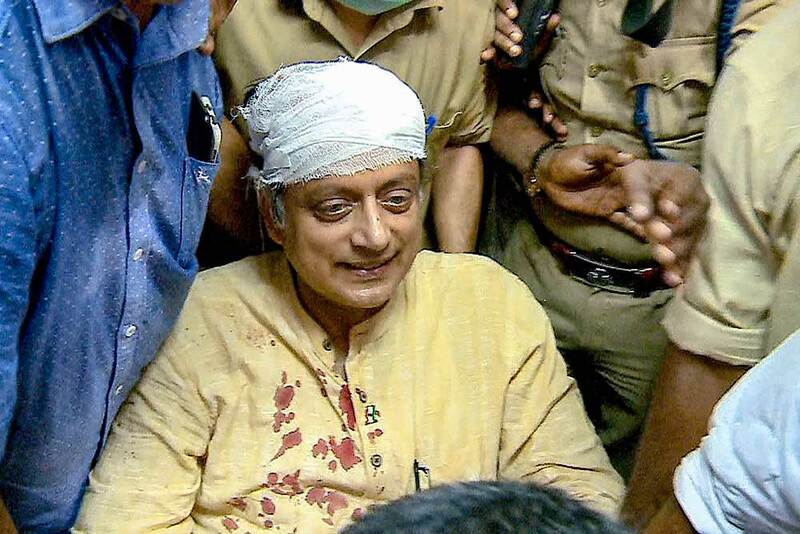 Congress leader Shashi Tharoor, who injured himself while offering prayers at a temple, after receiving treatment in Thiruvananthapuram, Tharoor was injured while he was weighing himself on a giant scale as part of the "thulabharam" ritual in which a person sits on the scale against a mound of offerings like fruit and sweets, equal to the devotee's body weight. 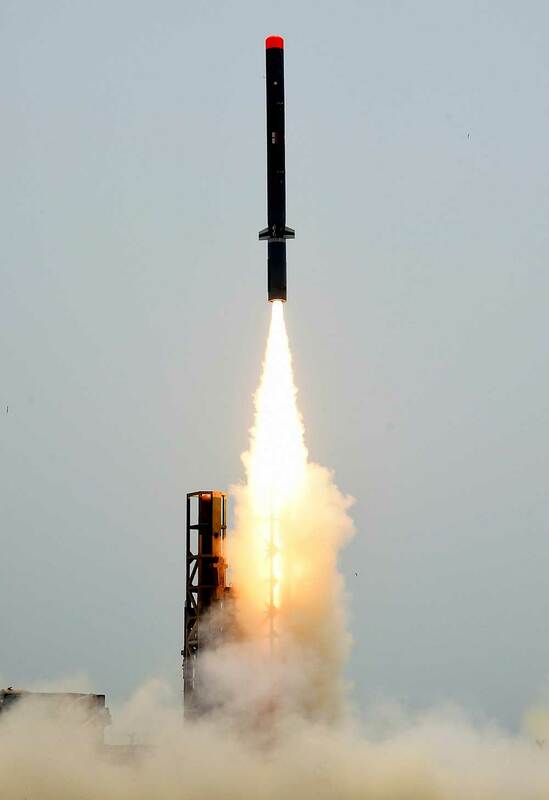 Defence Research & Development Organisation (DRDO) test fired indigenously designed & developed Long Range Sub-Sonic Cruise Missile 'Nirbhay' from the Integrated Test Range (ITR), at Chandipur, in Baleswar district. 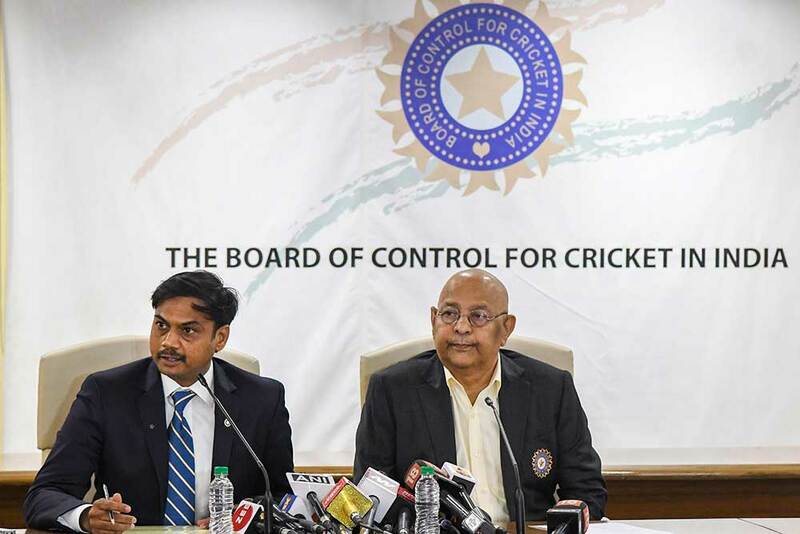 Board of Control for Cricket in India (BCCI) acting secretary Amitabh Choudhary (R) along with selection committee President M S K Prasad address a press conference to announce the cricket World Cup squad, in Mumbai. 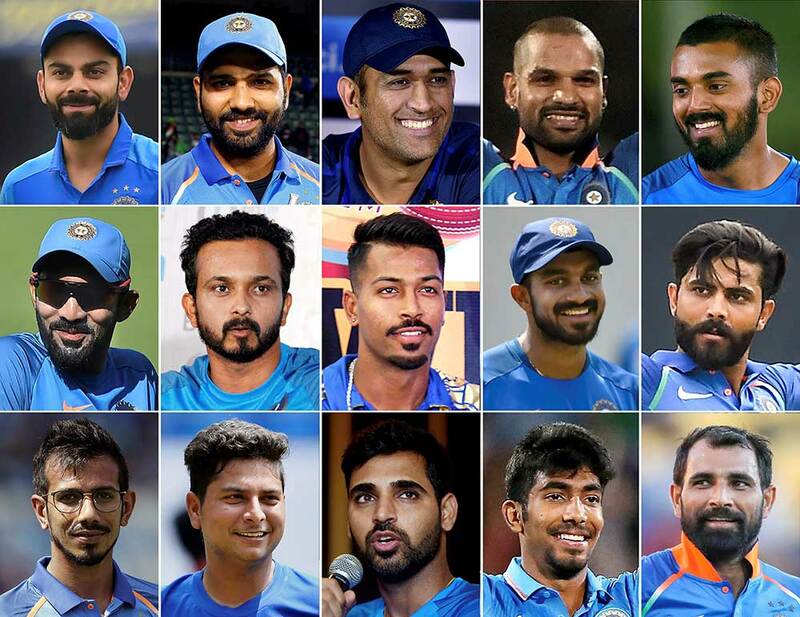 Members of India's 15 member squad for ICC Cricket World Cup 2019, from left in the top row, skipper Virat Kohli, Rohit Sharma, Mahendra Singh Dhoni (wk), Shikhar Dhawan and KL Rahul; from left to right in the middle row, Dinesh Karthik, Kedar Jadhav, Hardik Pandya, Vijay Shankar and Ravindra Jadeja; and left to right in the bottom row, Yuzvendra Chahal, Kuldeep Yadav,Bhuvneshwar Kumar, Jasprit Bumrah and Mohammed Shami, who were picked by the BCCI Selection Committee. 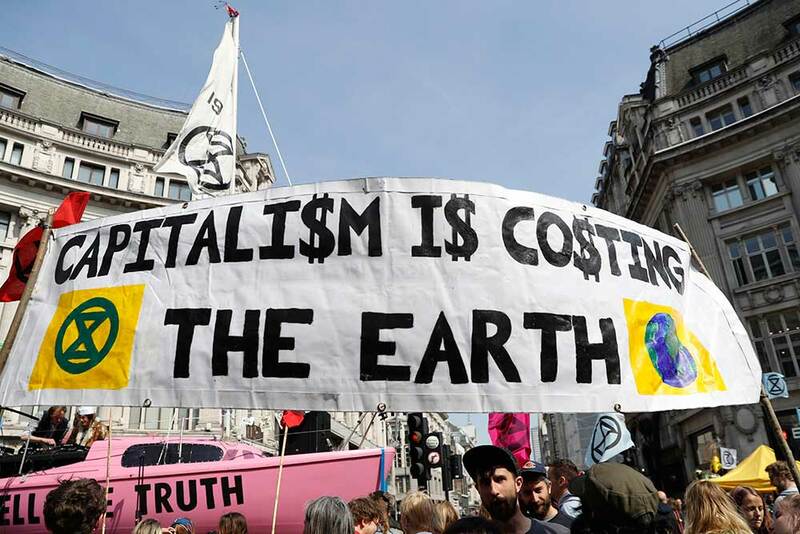 London: Protesters take part holding placards during a climate change demonstration in London, Monday, April 15, 2019. 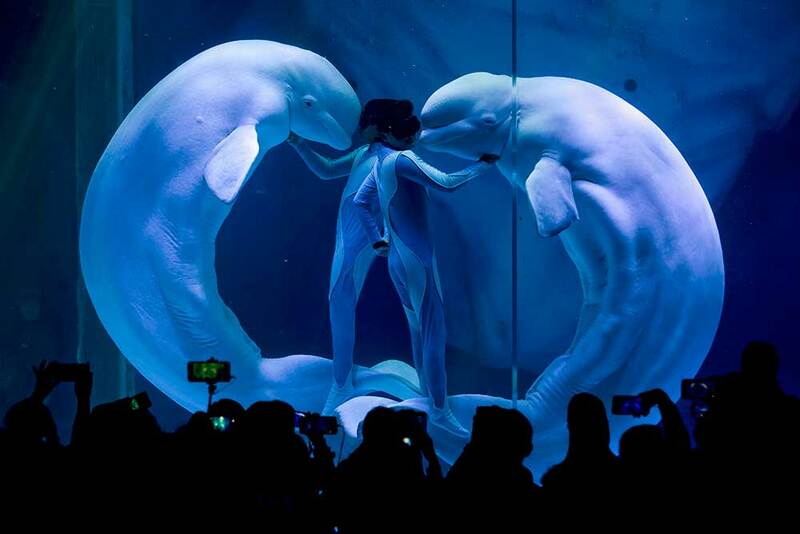 Extinction Rebellion have organised a nationwide week of action, they are calling for a full-scale Rebellion to demand decisive action from governments on climate change and ecological collapse. 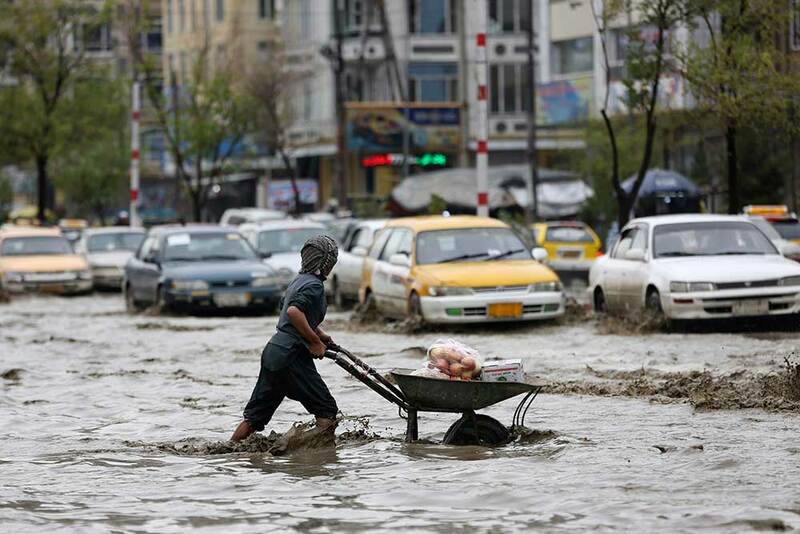 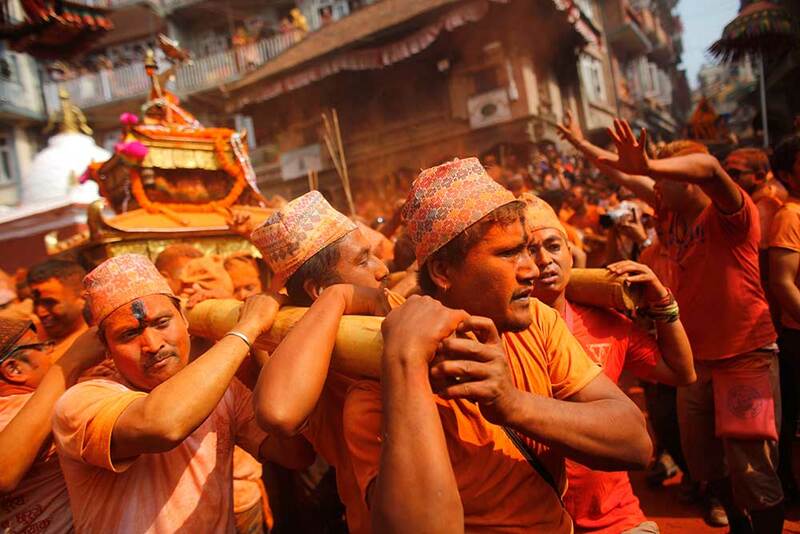 They plan to engage in acts of non-violent civil disobedience against governments in capital cities around the world. 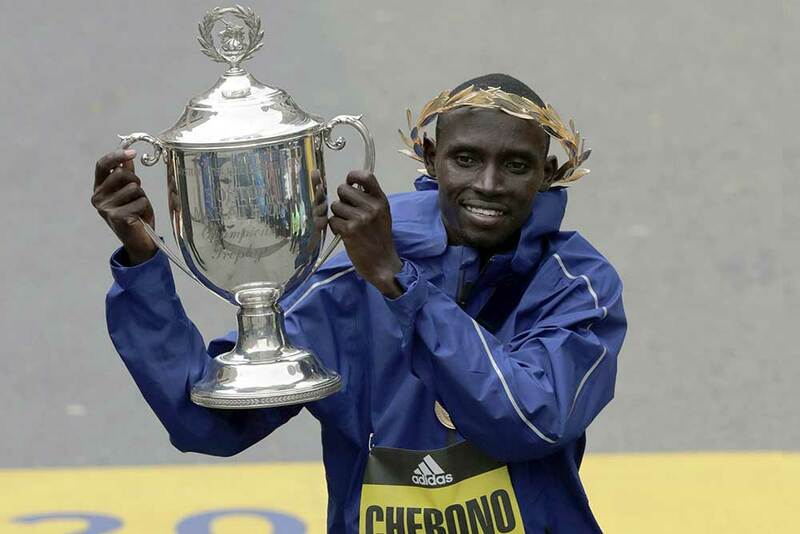 Lawrence Cherono, of Kenya, lifts the trophy after winning the 123rd Boston Marathon in Boston. 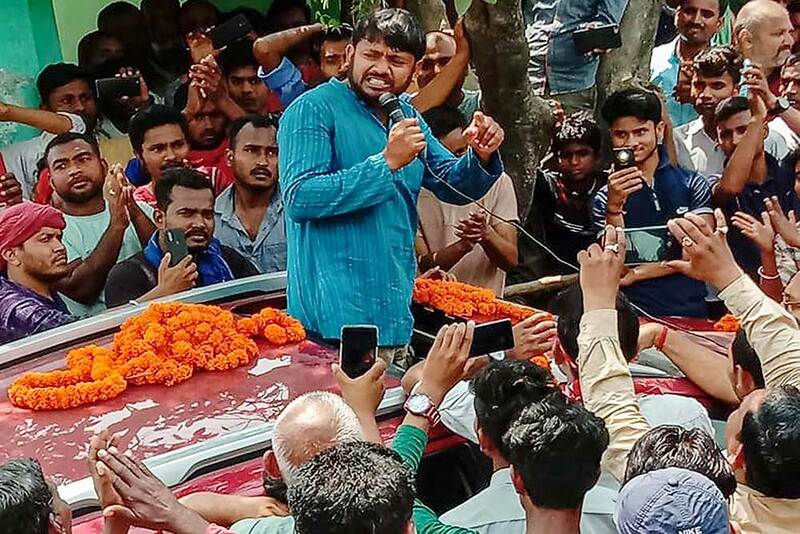 CPI candidate from Begusarai Lok Sabha seat, Kanhaiya Kumar, at an election campaign rally during the ongoing general elections, in Begusarai. 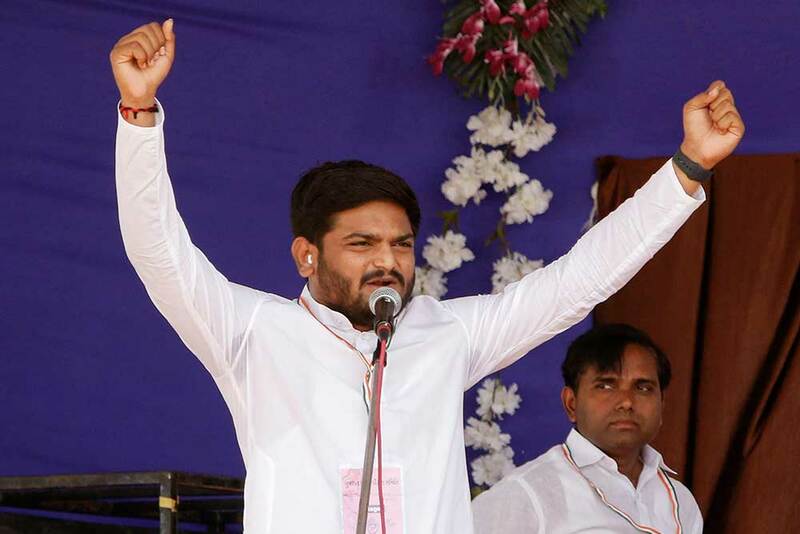 PASS convener Hardik Patel addresses an rally for the 2019 Lok Sabha elections, at Asarana village of Bhavnagar district, Monday, Gujarat. 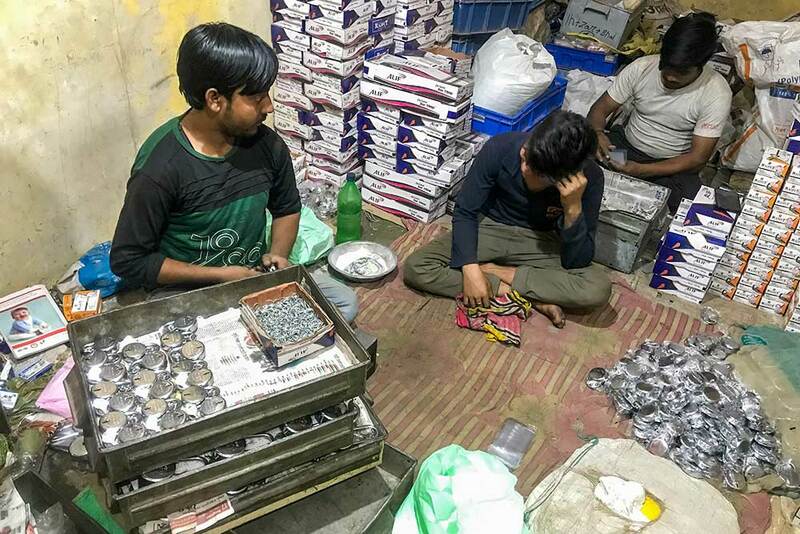 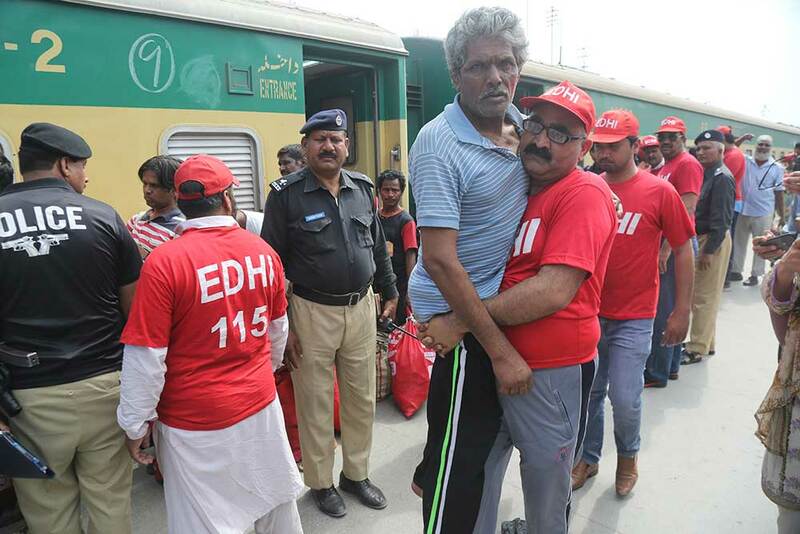 Workers at a lock factory in Aligarh. 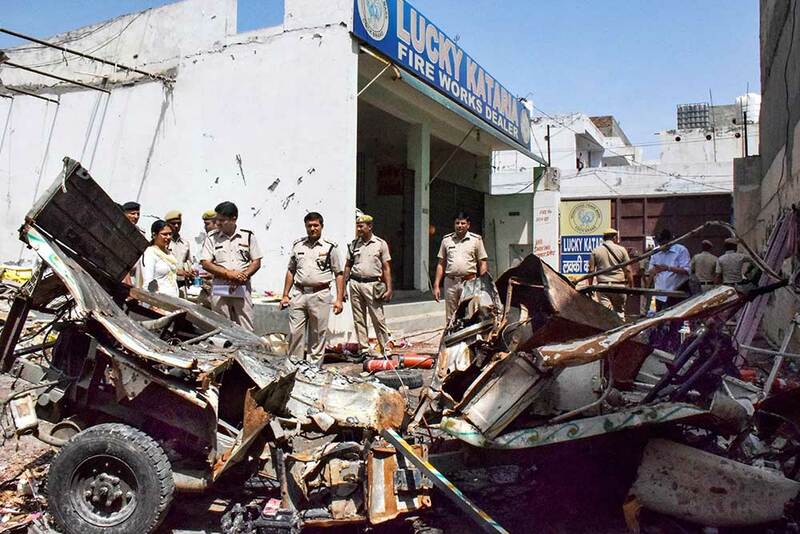 The lock industry in Aligarh accounts for almost 75 percent of the total production of locks in the country. 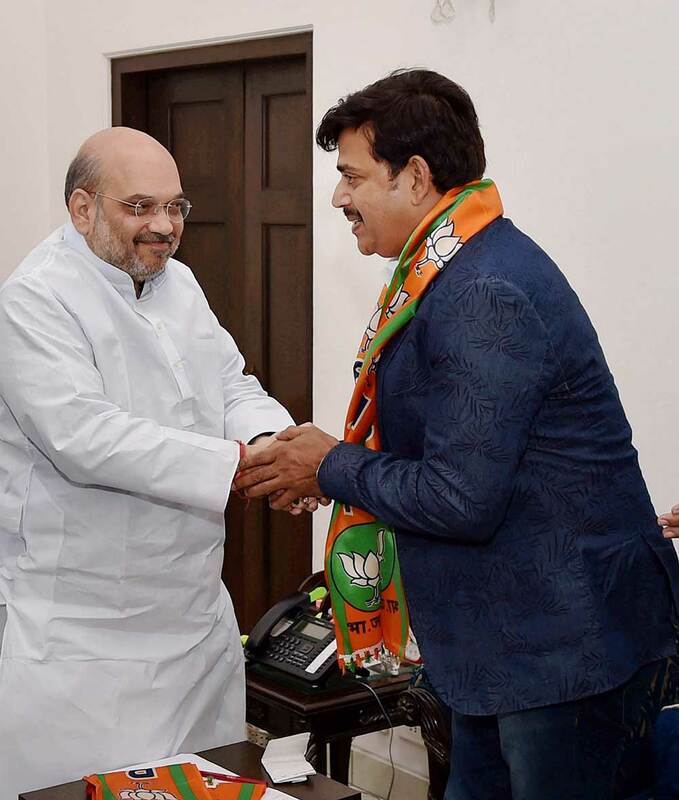 In this file photo dated Feb 19, 2017, is seen BJP President Amit Shah with Bhojpuri actor Ravi Kishan, in New Delhi. 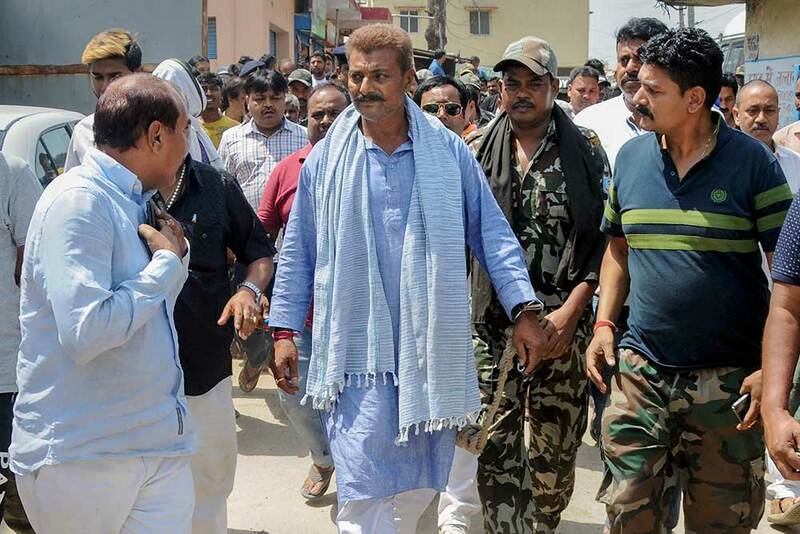 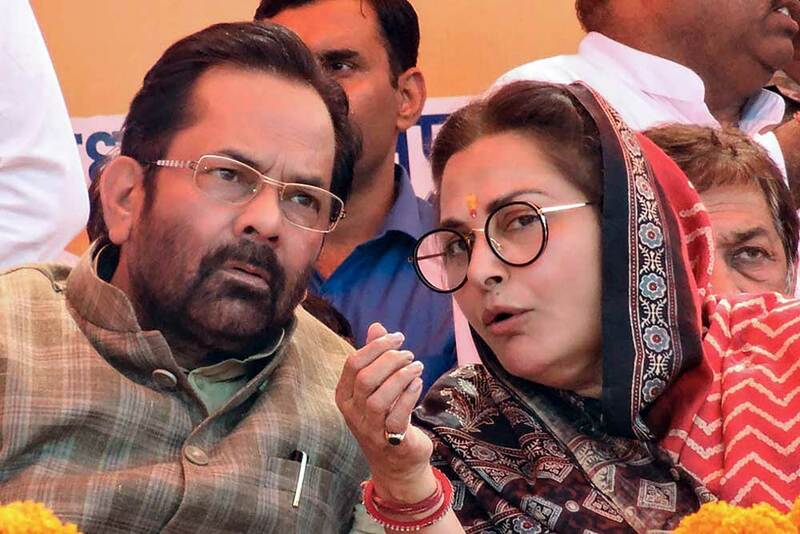 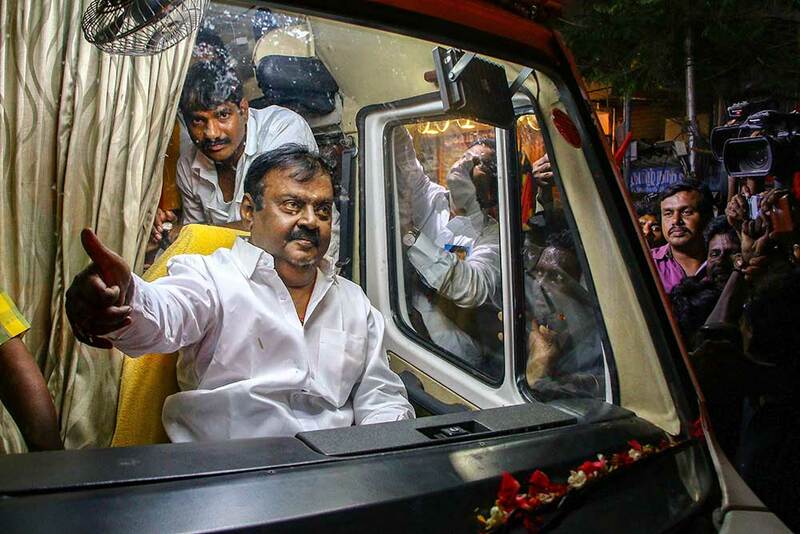 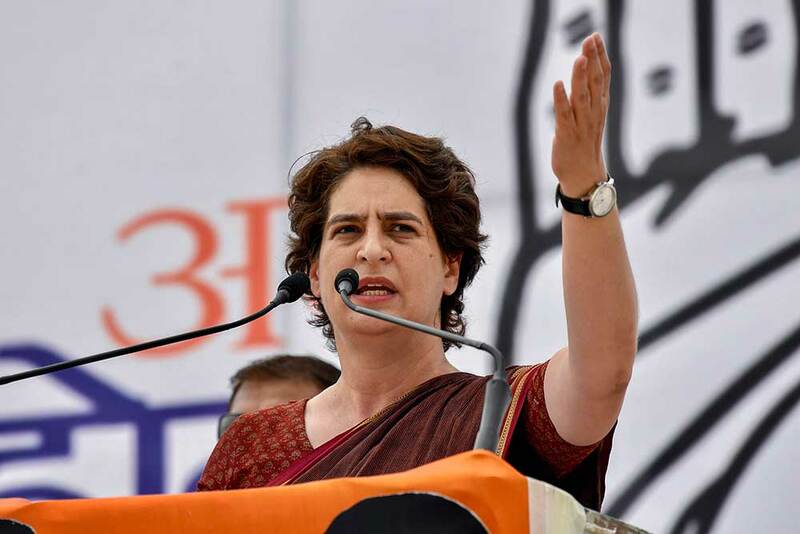 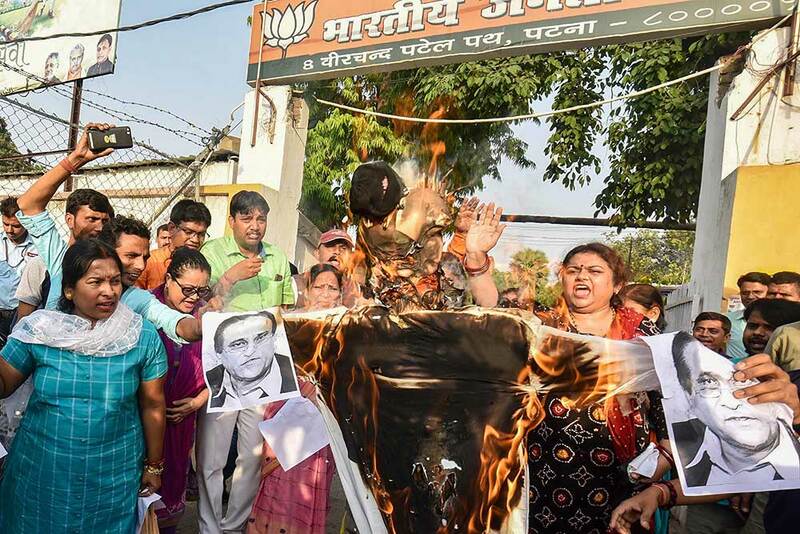 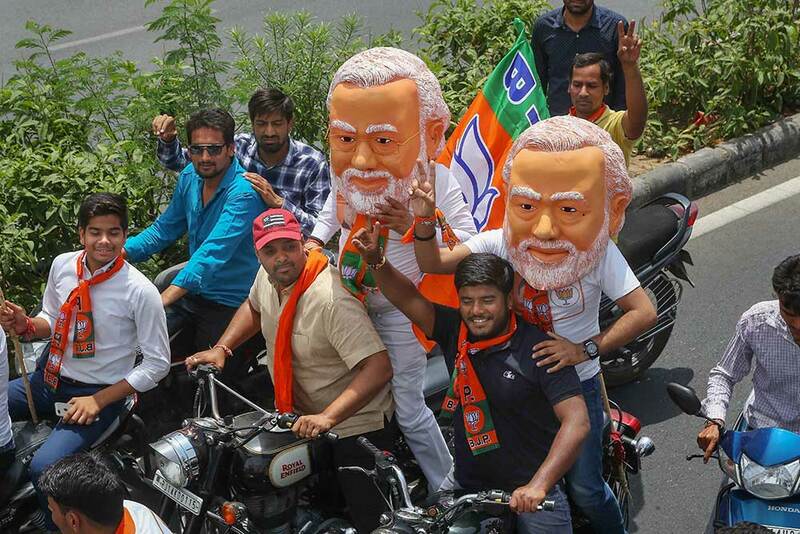 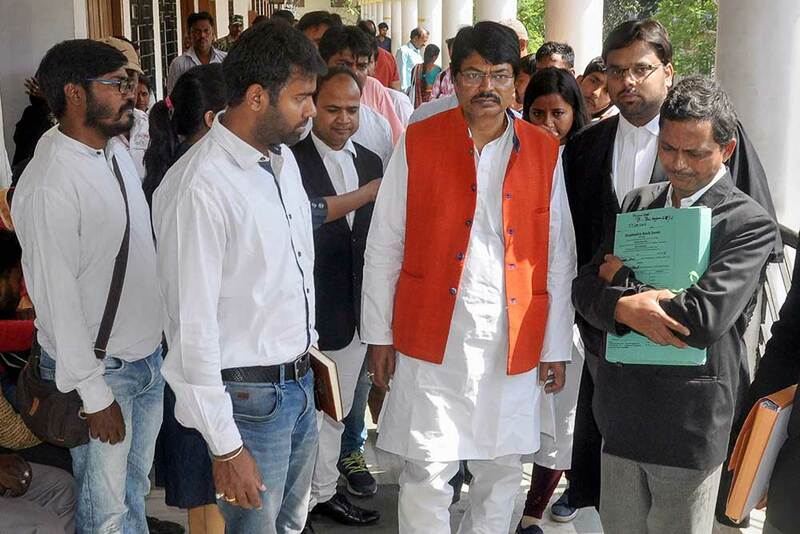 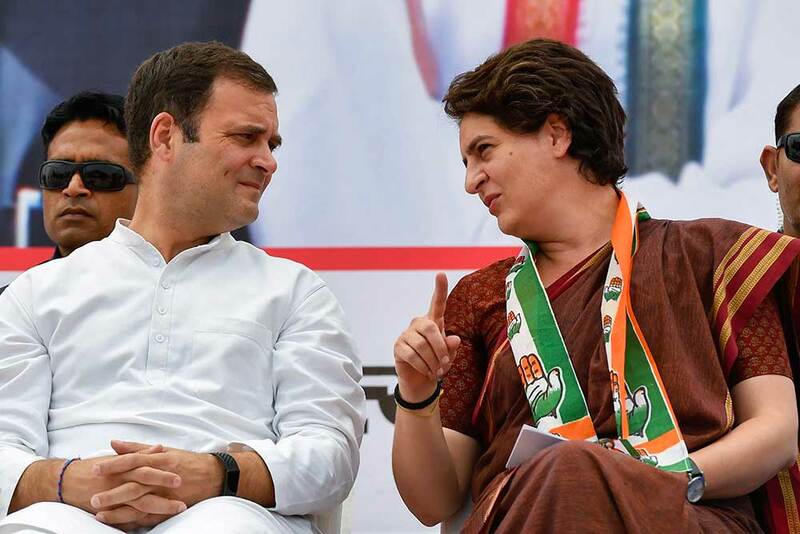 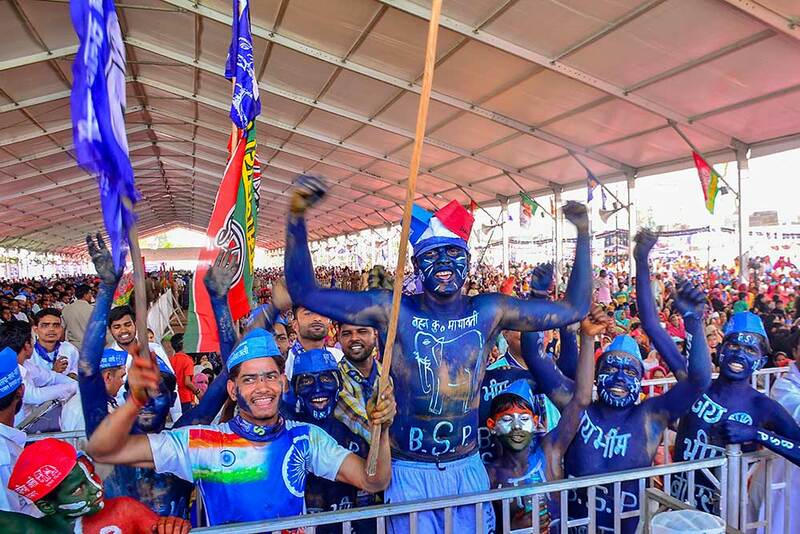 The party has fielded Kishan as its Lok Sabha candidate from the Gorakhpur constituency for the ongoing elections. 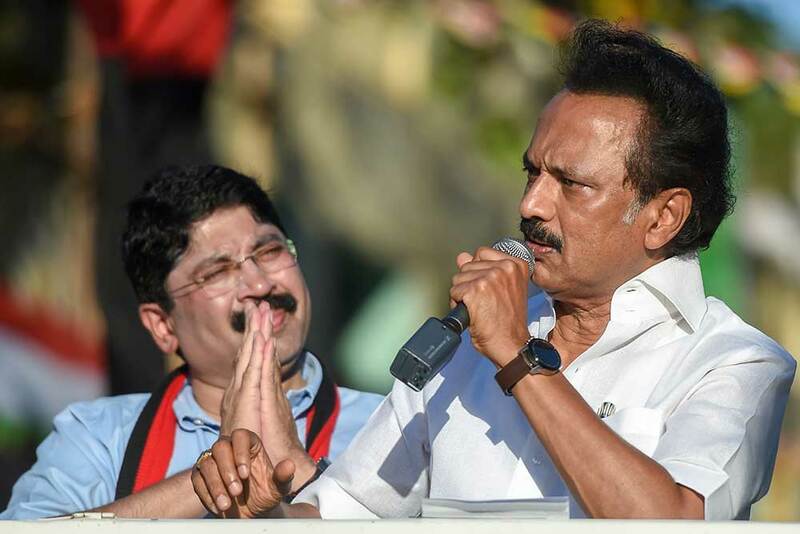 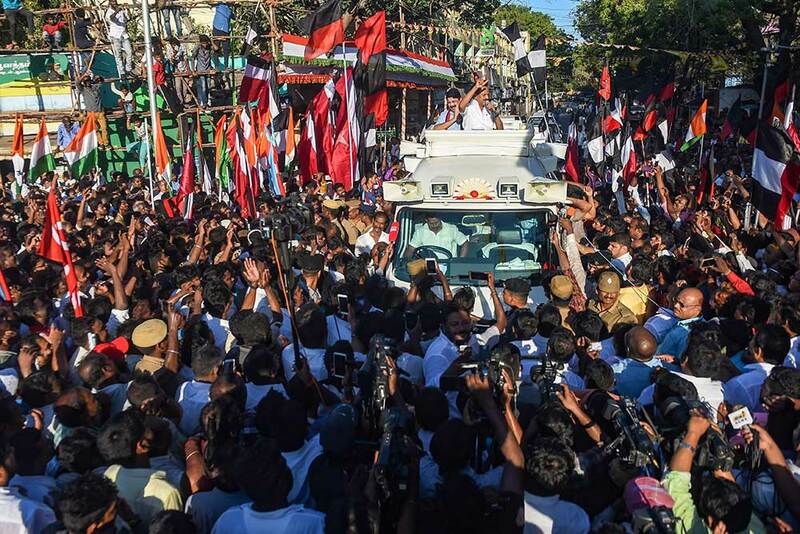 DMK leader MK Stalin during an election rally for Dayanidhi Maran, representative of Central Chennai constituency for Lok Sabha election, in Chennai. 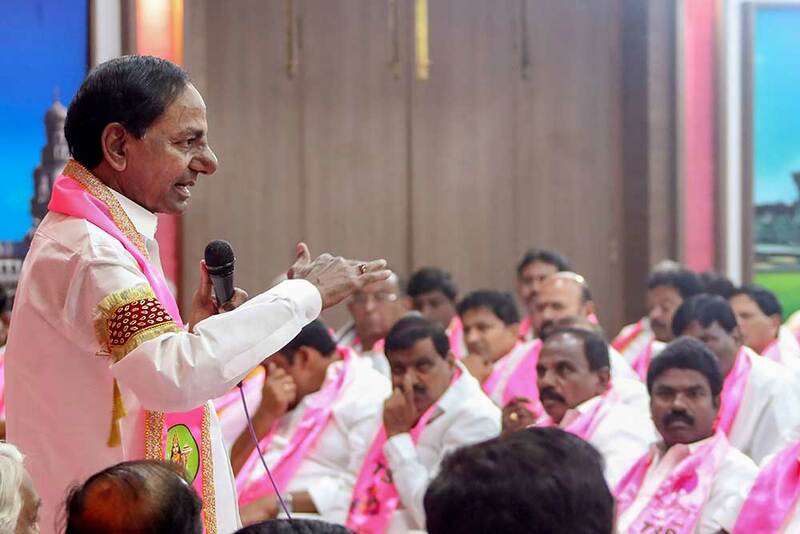 Telangana Rashtra Samithi (TRS) President and Chief Minister of Telangana K. Chandrashekar Rao addresses Party legislatures, at Telangana Bhavan, in Hyderabad. 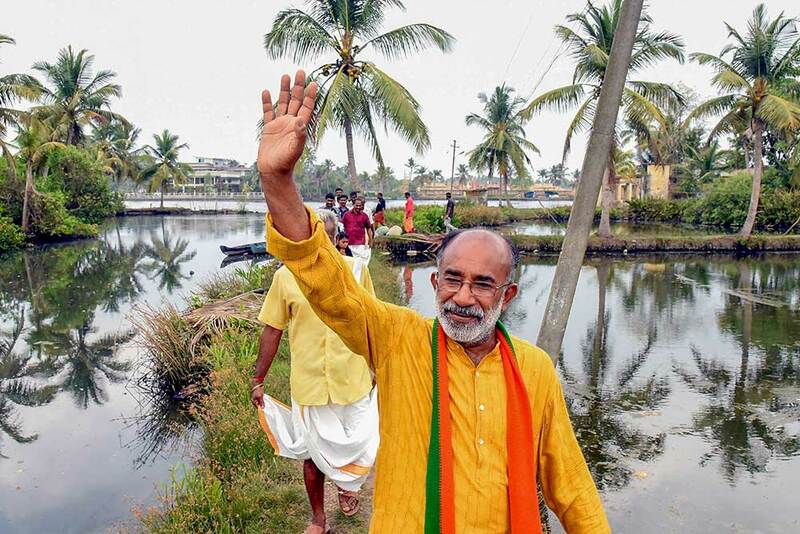 BJP candidate for Ernakulam Lok Sabha seat, Alphons Kannanthanam visits Valanthakad Island for Lok Sabha polls, in Kochi. 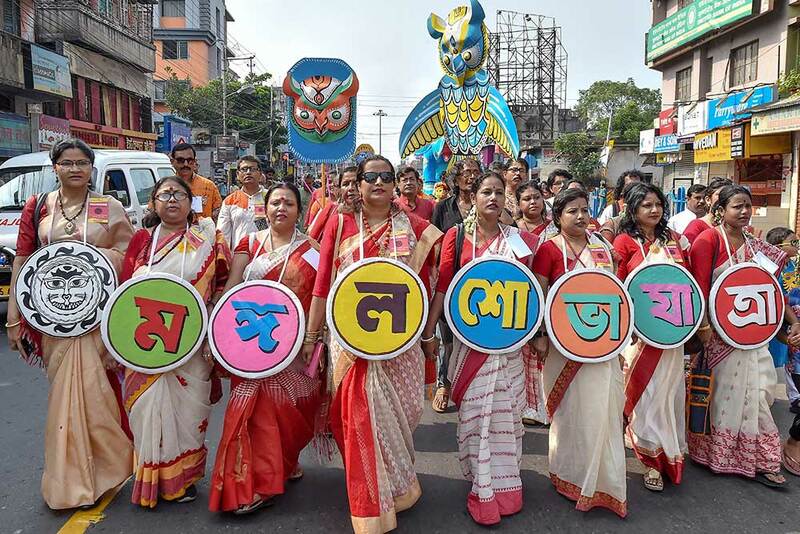 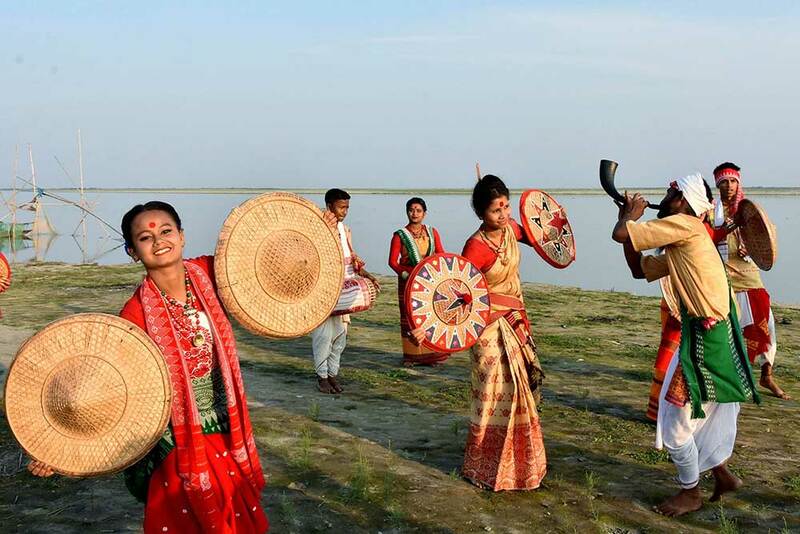 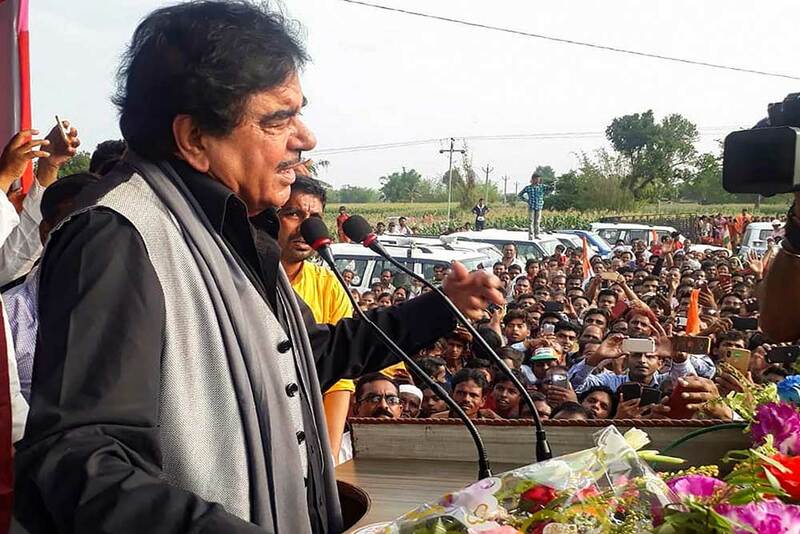 Congress leader Shatrughan Sinha addresses an election rally for Lok Sabha elections, in Kisanganj. 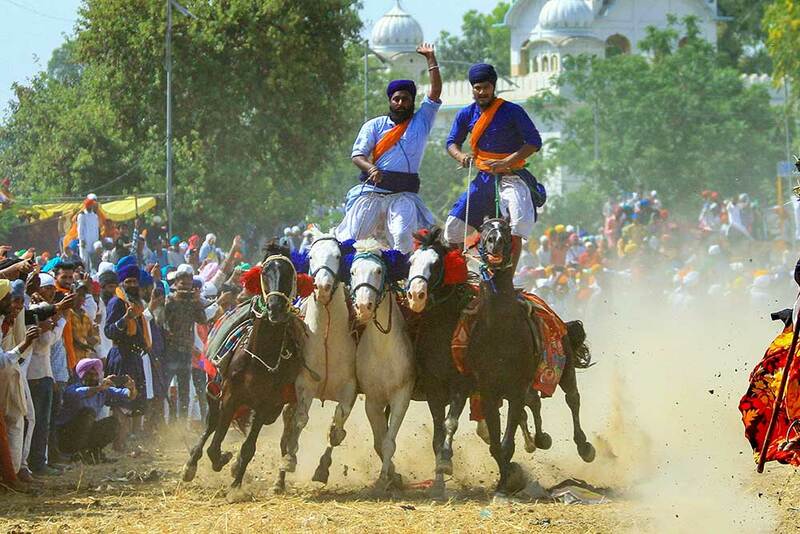 Traditional Sikh warriors or Nihang astride horses as part of Baisakhi celebrations, in Bathinda. 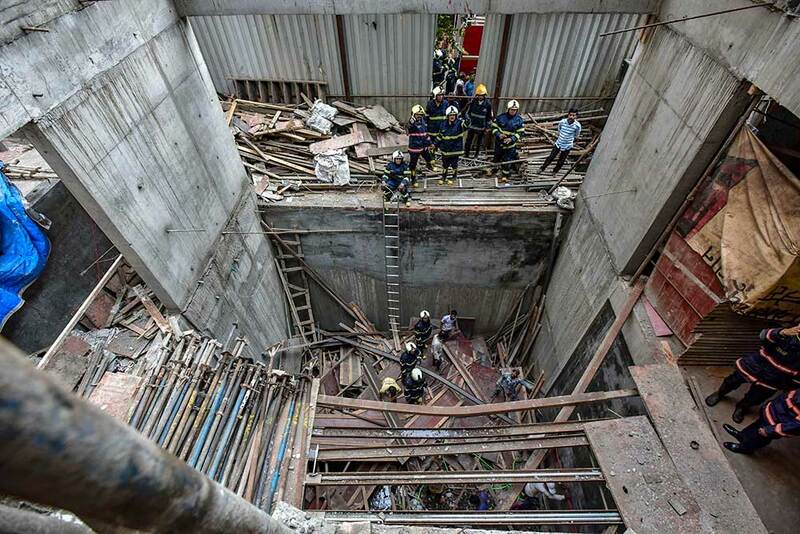 Slab of an under construction building opposite Nagpada Police Station collapsed, in Mumbai. 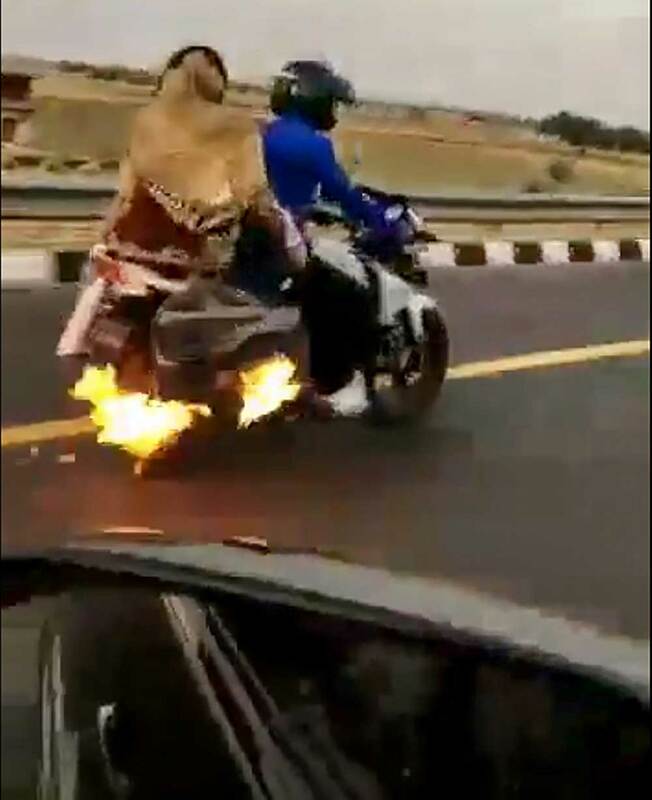 A speeding biker travelling on the Lucknow-Agra Expressway, whose luggage had caught fire, was alerted and saved by UP police's UP100 PCR team, in Etawah. 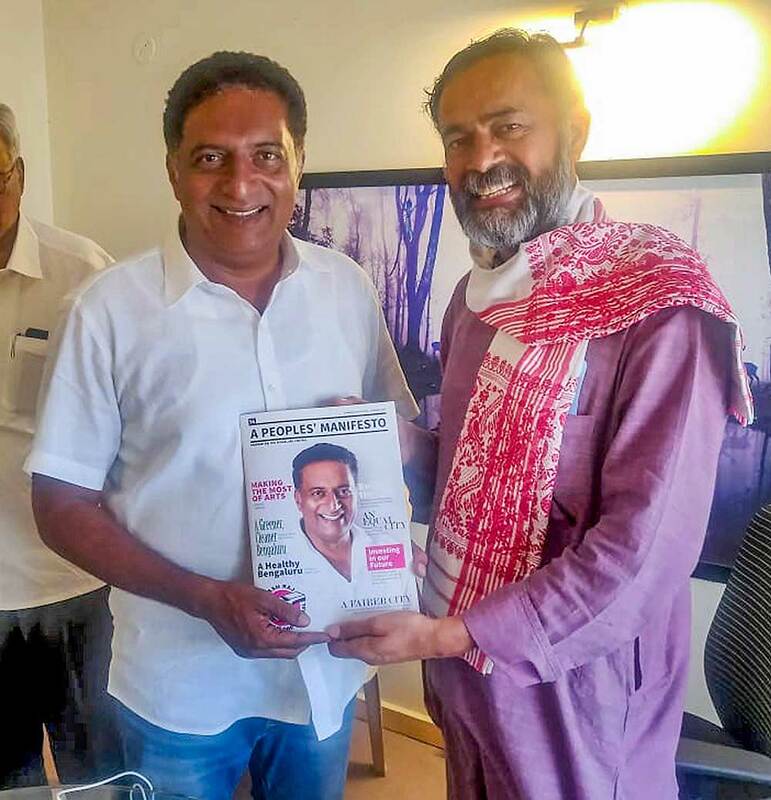 Swaraj India President Yogendra Yadav during a campaign for actor Prakash Raj who is contesting for Bangalore-Central seat as an independent candidate in the Lok Sabha elections, in Bengaluru. 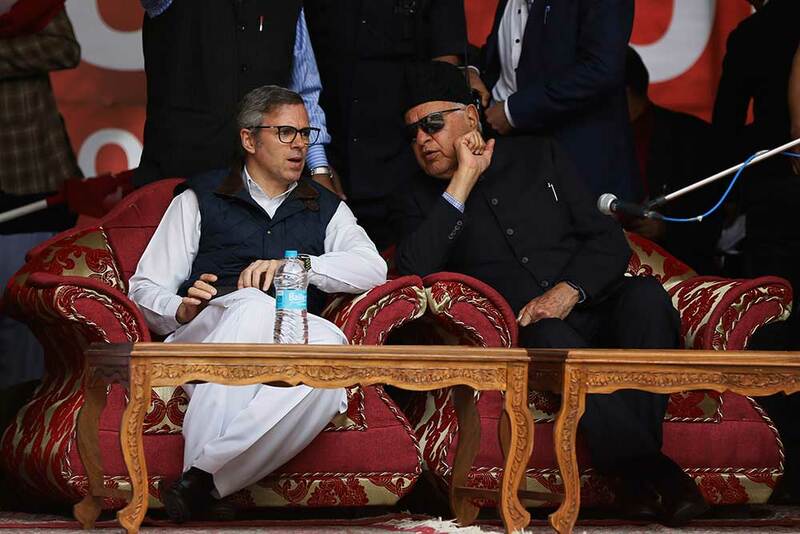 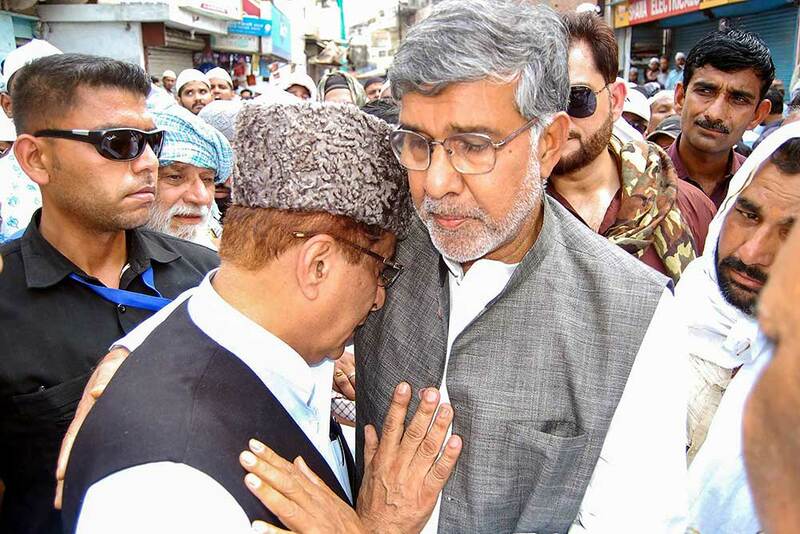 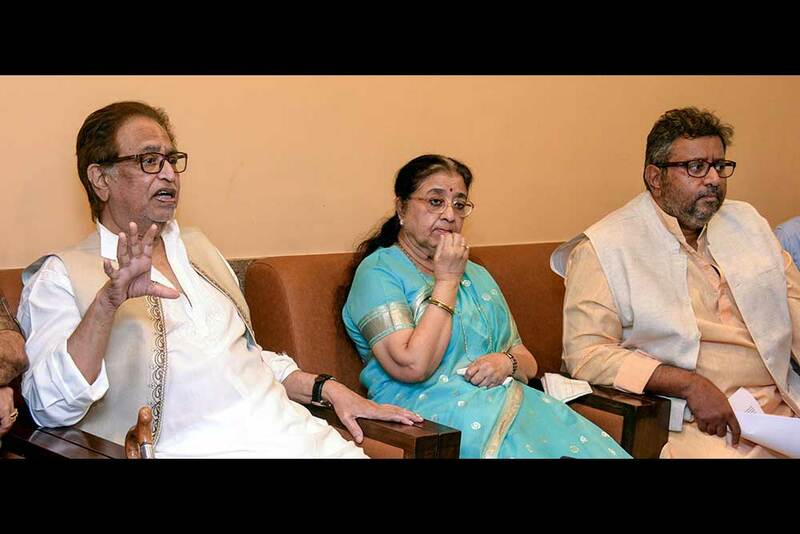 Samajwadi Party senior leader Azam Khan being consoled by social activist and Noble laureate Kailash Satyarthi during the funeral ceremony of SP leader Chaudhary Munawwar Saleem, in Vidisha. 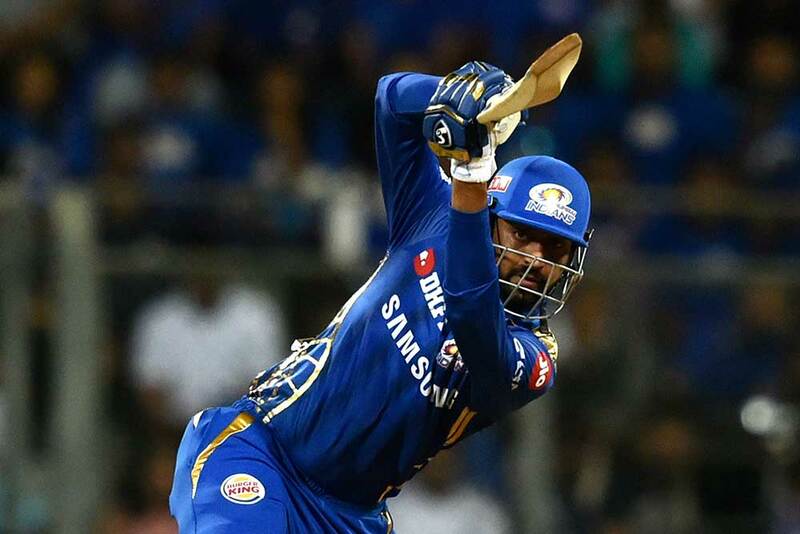 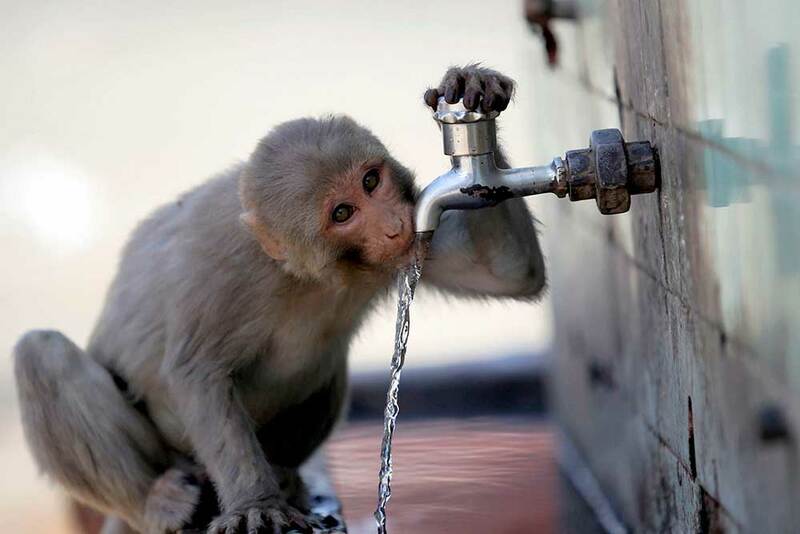 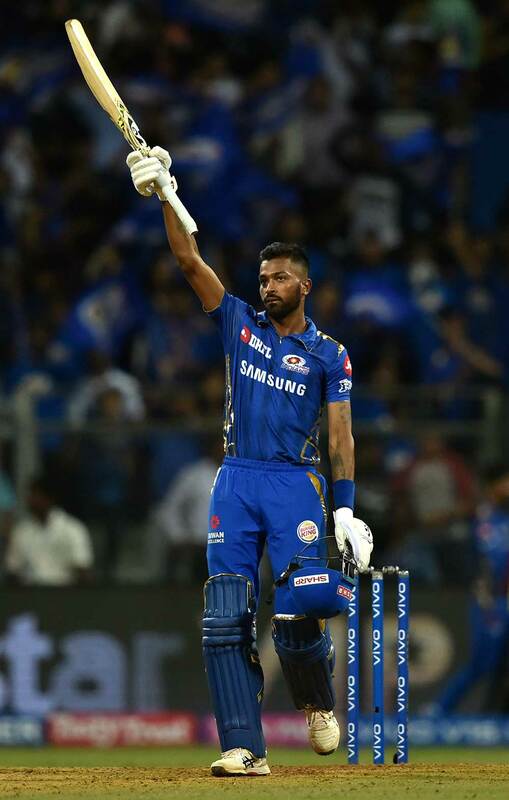 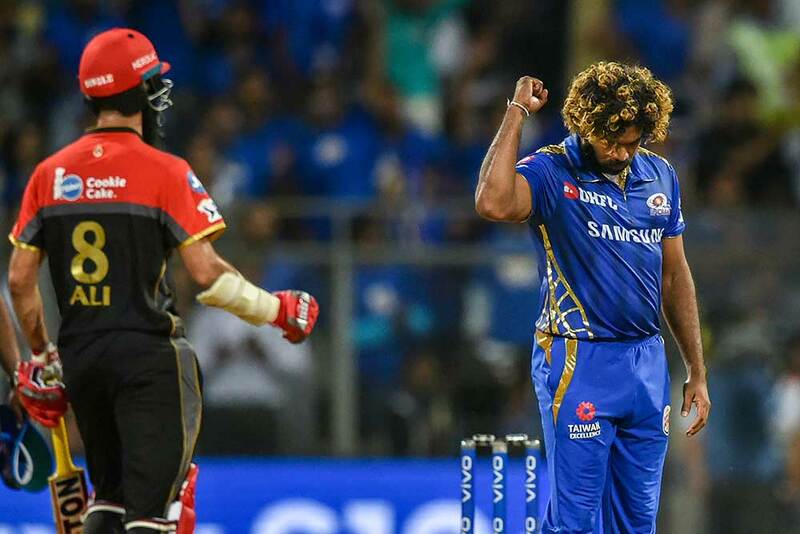 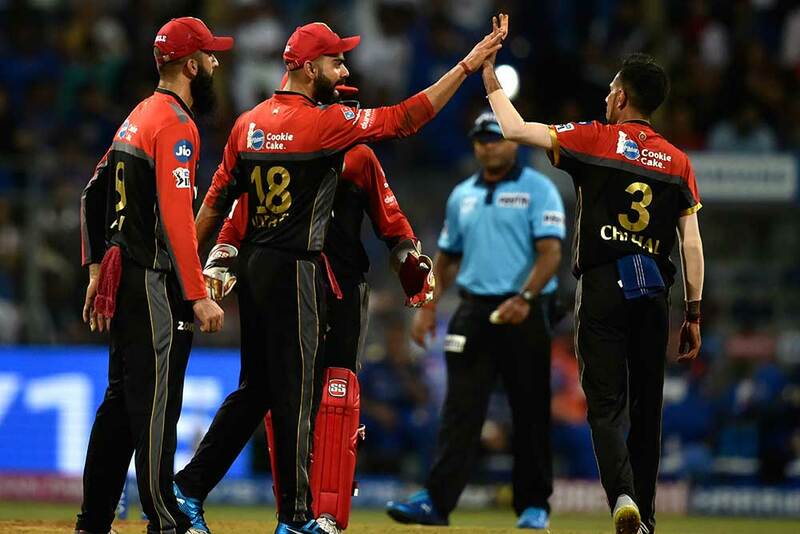 Mumbai Indians (MI) player Krunal Pandya plays a shot during the Indian Premier League 2019 (IPL T20) cricket match between Mumbai Indians (MI) and Royal Challengers Bangalore (RCB) at Wankhede Stadium in Mumbai. 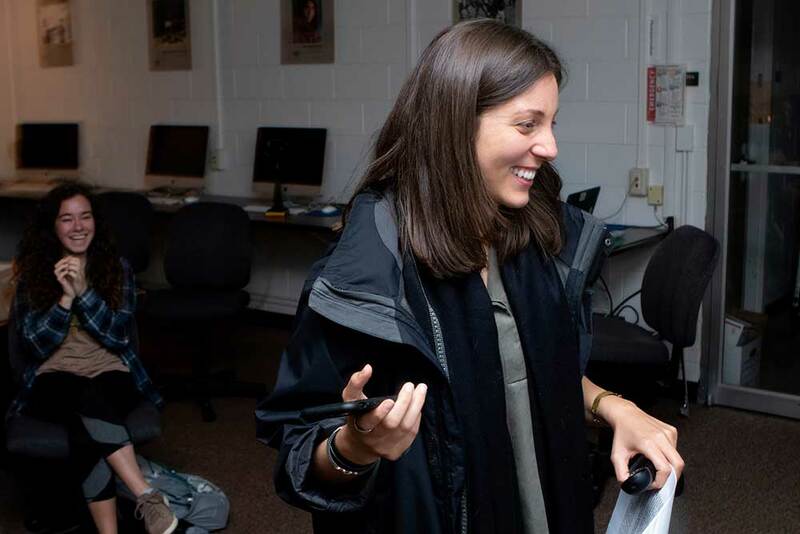 Associated Press photojournalist Nariman El-Mofty listens on a mobile phone as AP Director of Photography David Ake calls to tell her she won the 2019 Pulitzer Prize in international reporting, in Athens, Ga. El-Mofty was lecturing at a photojournalism class at the University of Georgia's Henry W. Grady School of Journalism when she was interrupted by the call. 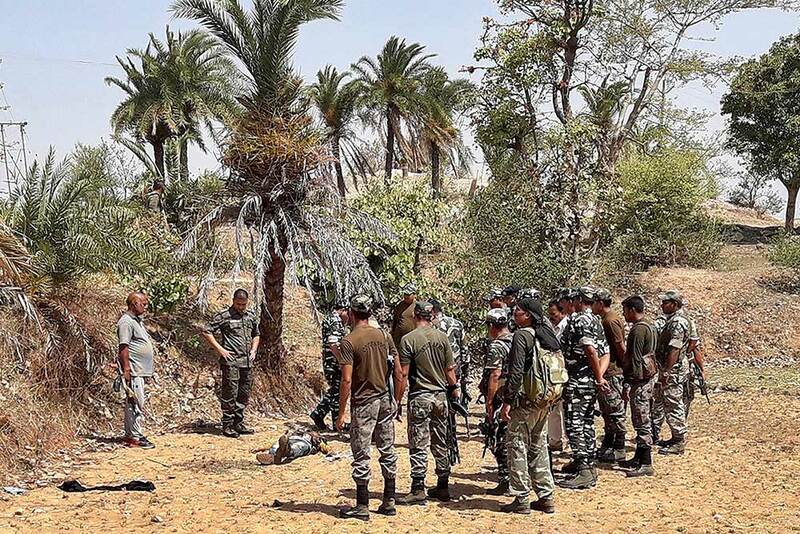 AP reporter Maggie Michael and video journalist Maad al-Zikry shared with prize with El-Mofty for their coverage of Yemen's brutal civil war. 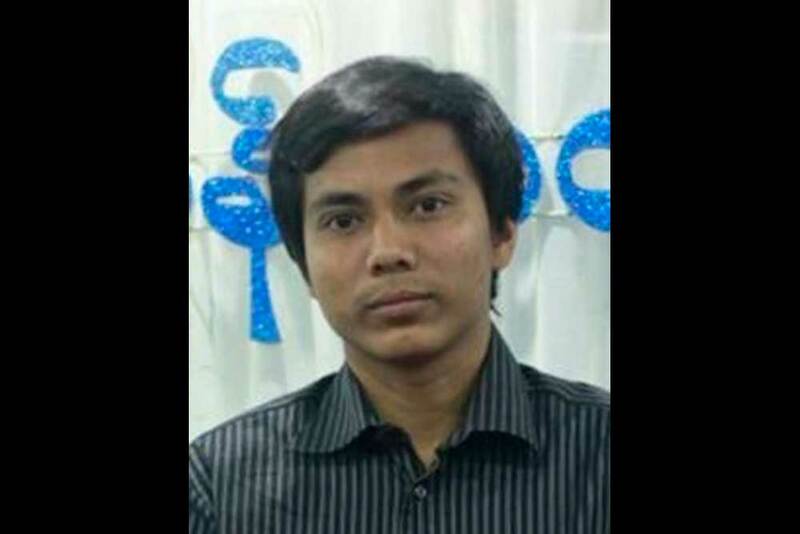 This undated photo provided by The Pulitzer Prizes shows Reuters reporter Kyaw Soe Oo, who was part of a team that won the Pulitzer Prize in international reporting that exposed the military units and Buddhist villagers responsible for the systematic expulsion and murder of Rohingya Muslims from Myanmar. 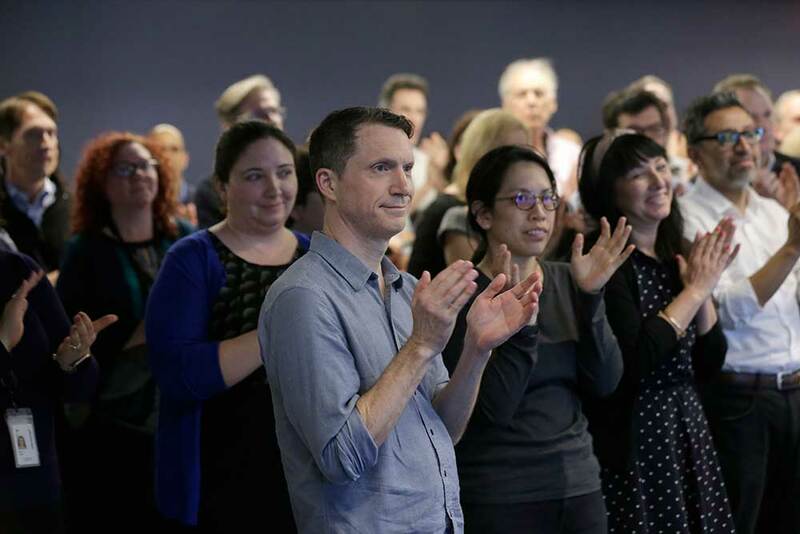 Associated Press staff applaud as the list of Pulitzer Prize winners are announced at AP headquarters in New York. 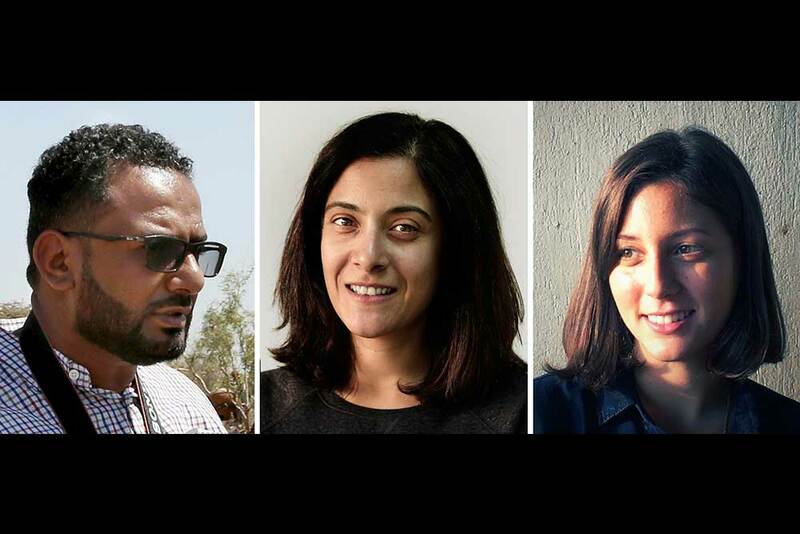 A team of three Associated Press journalists won a Pulitzer Prize in international reporting Monday for their work documenting torture, graft and starvation in Yemen's brutal civil war.